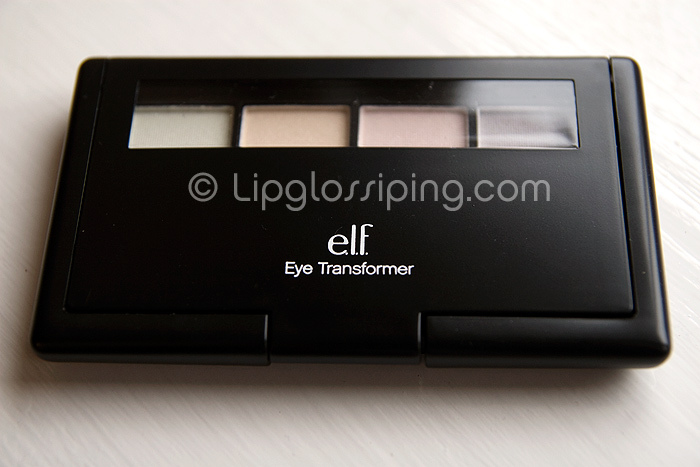 £6.49, Superdrug… if you’re lucky. If you’re not so fortunate… there’s always the Sleek website or eBay but if you know you’re going that route, grab it now before it becomes ‘rare’ and about 3x the RRP. Have you noticed anything odd about my palette yet btw? 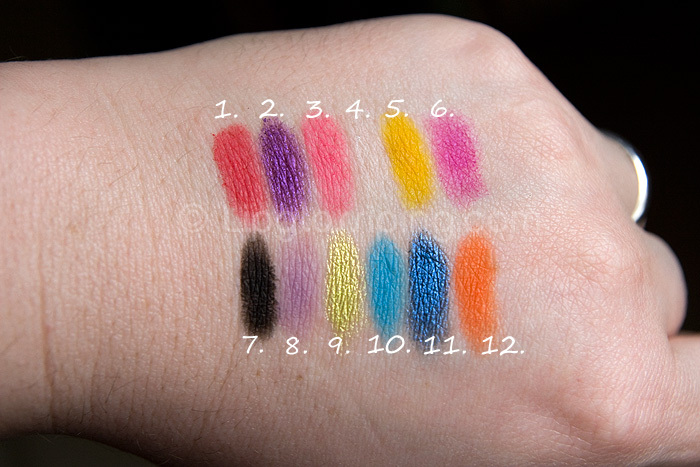 I appear to have a duplicated shade… not that I’m massively bothered because the missing “The Mail” shade looks a bit turdy judging by other swatches I’ve seen. I appear to have doubled up on “Gift Basket” instead. 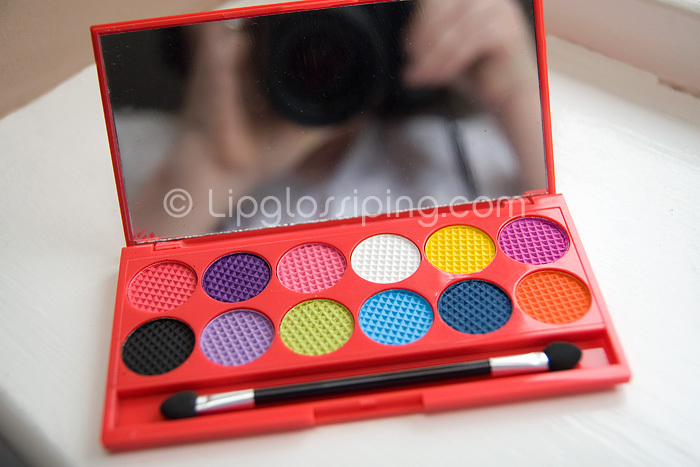 Having said that, I bought my palette off eBay ‘cos my local Superdrug doesn’t stock the brand…. it probably fell off the back of the conveyer belt. 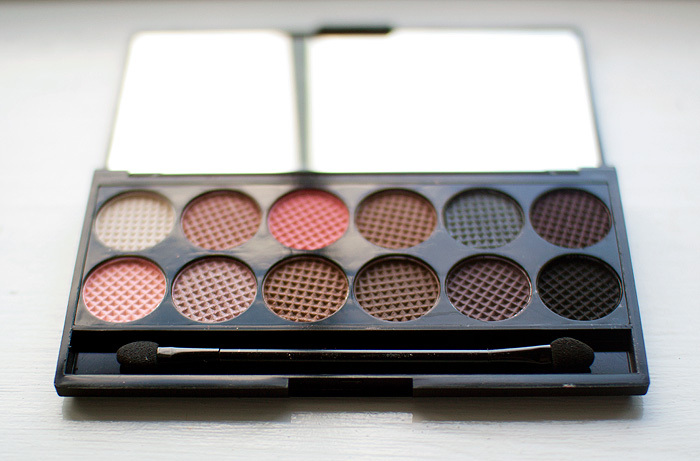 Have you got this palette yet? Trying to? Or just plain not interested? 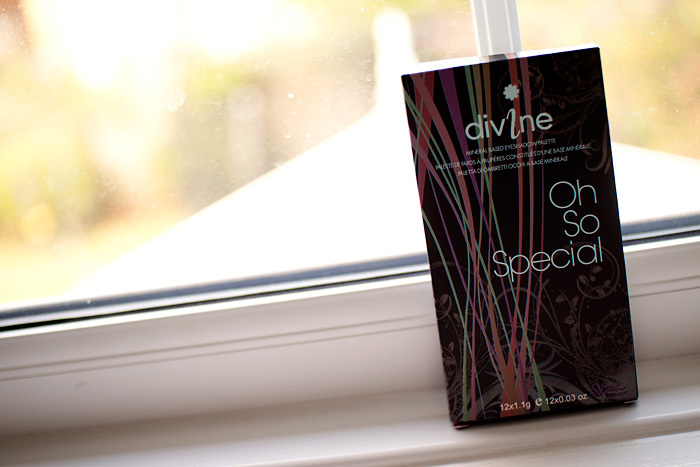 Due to be released exclusively to Superdrug on February 14th. All For Eve and all for a very good cause indeed. All For Eve have joined forces with London florist OnlyRoses in time for Valentine’s Day. Above is the “ultimate in red” package. Priced at £90, it includes a dozen red roses, an award winning lipstick from celebrity make-up artist Daniel Sandler, the Sophy Robson Nail Polish and the clutch bag essential of a Swarovski Crystal Nail File. 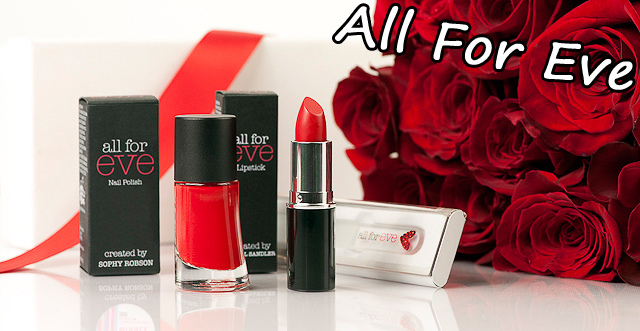 Orders are being taken online at allforeve.co.uk and www.only-roses.com from 27th January with 100% of All For Eve’s net profits going directly to The Eve Appeal. If you haven’t seen or read about this collection 100 times already then you truly are in love and should stop snogging your beau before your lips drop off. C’mon, the makeup’s this-a-way! 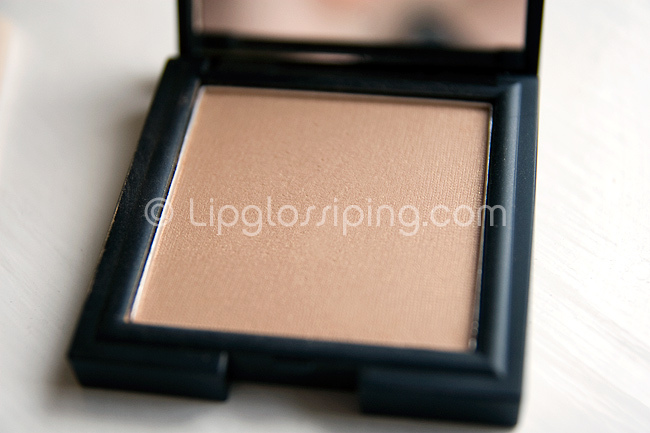 Illamasqua Throb is their nod to the season of lurve and the cheekily-named pieces reflect this. I picked up the lipstick in Sangers last week and can’t wait to give the true red it’s first outing! Any of those take your fancy? They’re less maintenance than a fella! It’s gorgeous no? 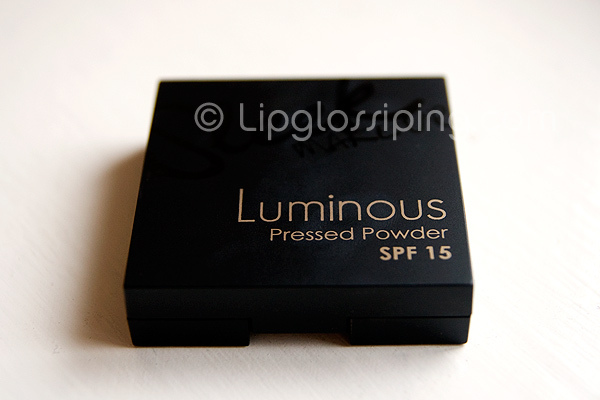 I dug it out of my goody bag that I was given at the Sleek MakeUP blogger event this week. 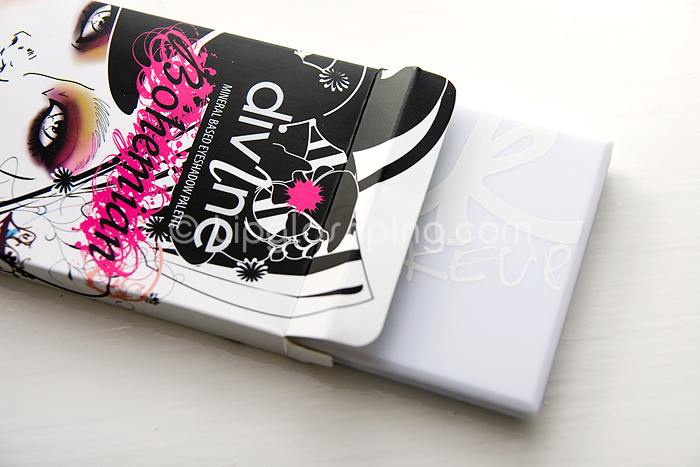 I’m loving the new Sleek i-Divine cardboard sleeves… not so much the coloured cases, but the sleeves are a total win for me! 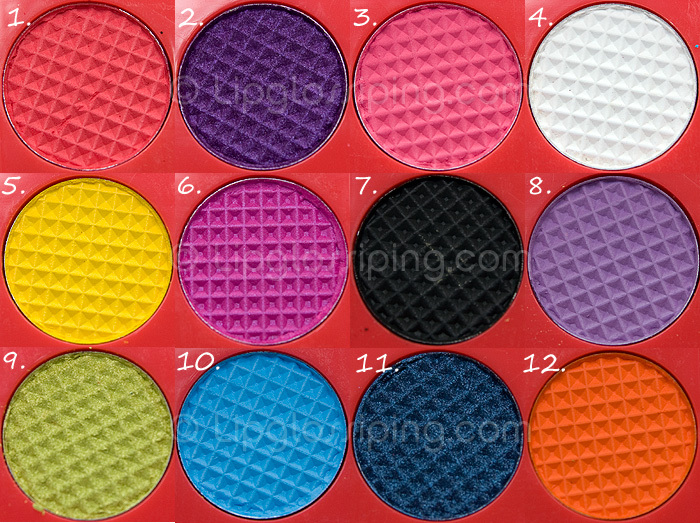 It’s a bright palette… I personally wouldn’t wear these as eyeshadows… but I’d buy it anyway, ‘cos these are gonna make some cracking Summer eyeliners. 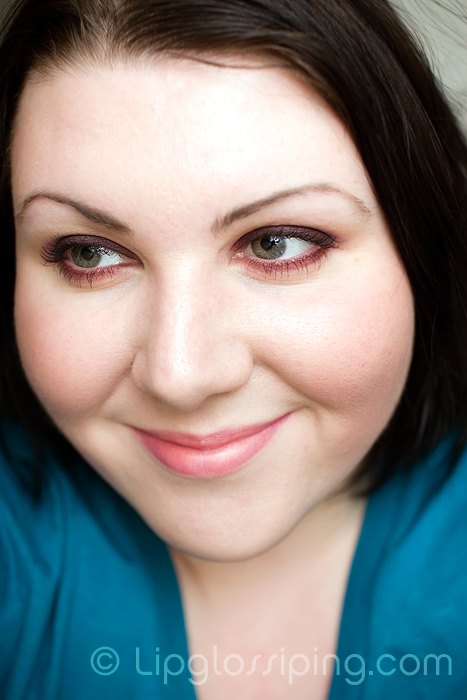 I’ve already worn both blues blended tightly along the lashline… fabulous! 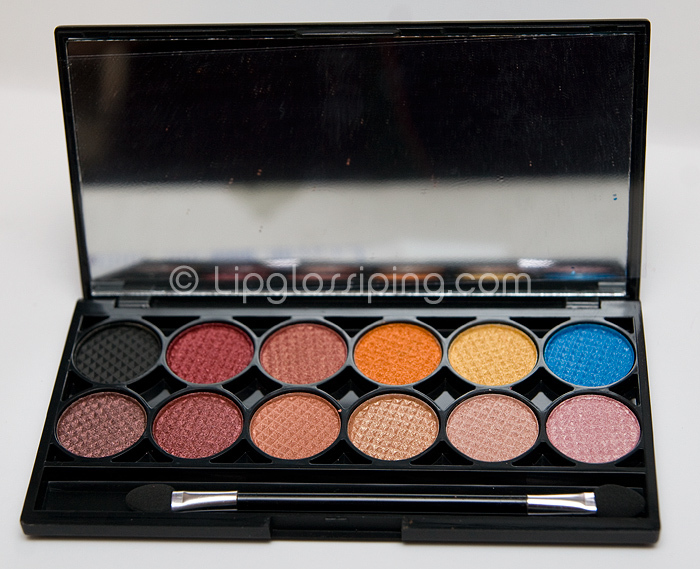 Like the Bohemian palette before it, the Sleek Circus palette contains a mixture of shimmer and matte shades. 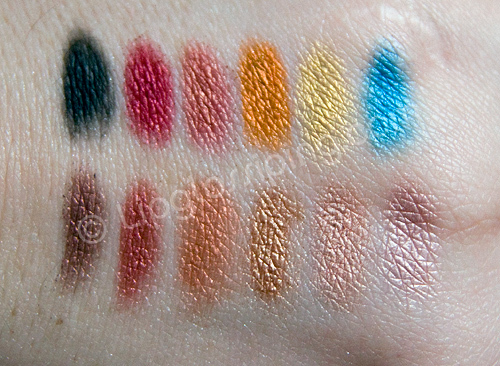 Mostly heavily pigmented (with 2 exceptions) this is an exciting selection. It’s exciting because it’s pushing the boundaries of my comfort zone… without going too far. 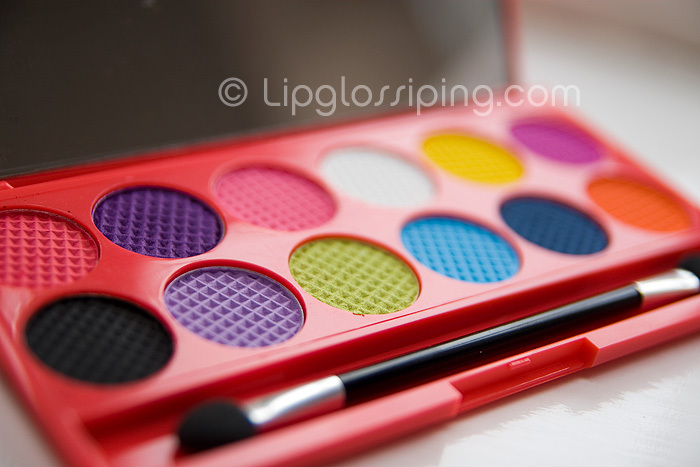 It’s not the acid palette… I couldn’t wear that one. This, I can work with… it’ll spice things up nicely! They will be getting named in due course by one of the lucky bloggers who won the opportunity at the event! 4 & 8 are crapola. 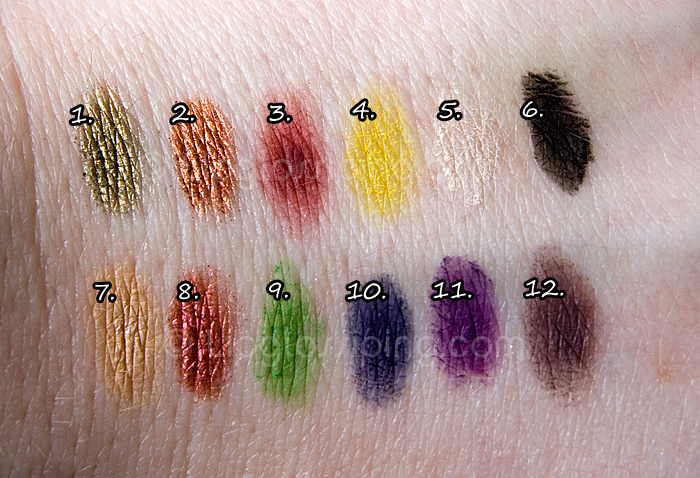 Heavily swatched, I’m just not getting any colour payoff from them dry or wet. They’re write-offs unless you have incredible patience. 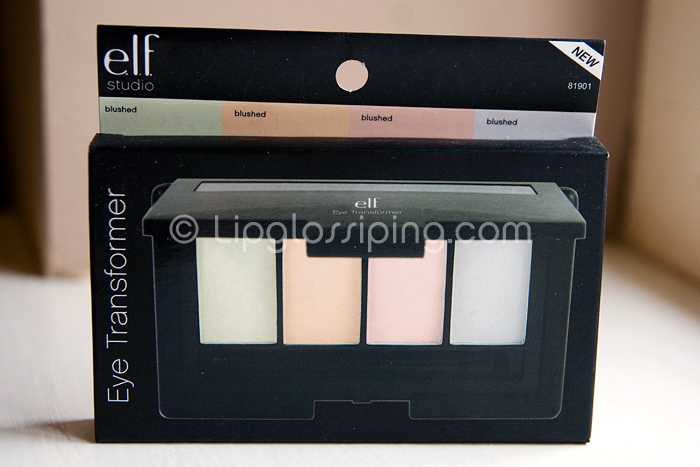 I’m not bothered about the white, but it’s a shame that the lilac is so disappointing… it’s an interesting shade. Stand out shades for me are: 1, 2, 5, 9, 10 and 11. 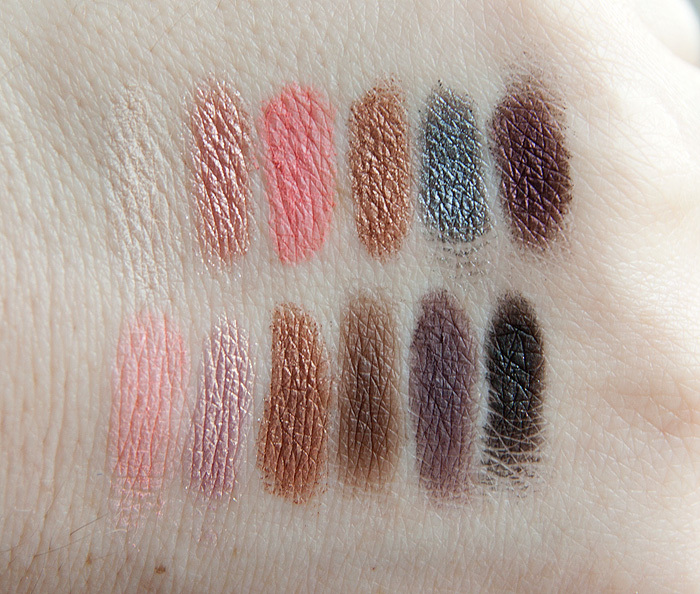 Infact, I’d buy the palette for 11 alone. It’s perfection. 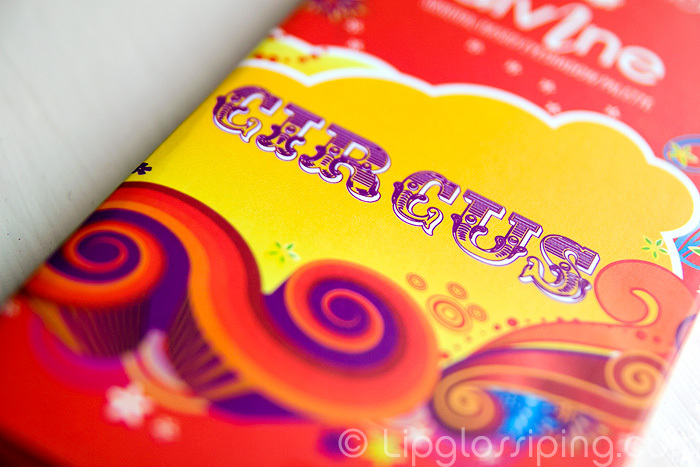 The Sleek Circus Palette will be released in June, what do you guys think? Impatient or Indifferent? I’ll just come out with it shall I? 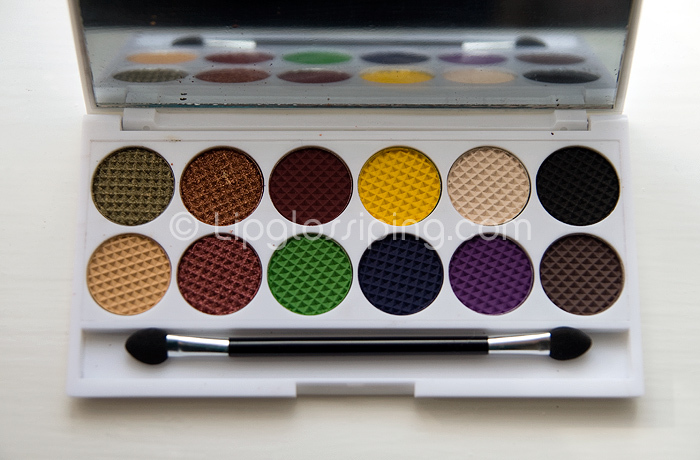 Sleek MakeUP got in touch, they liked my idea of naming the individual shades in their i-Divine palettes (admittedly probably not original) SO much, that they’re going to name ALL past, present and future i-Divine shadows!! How cool is that? 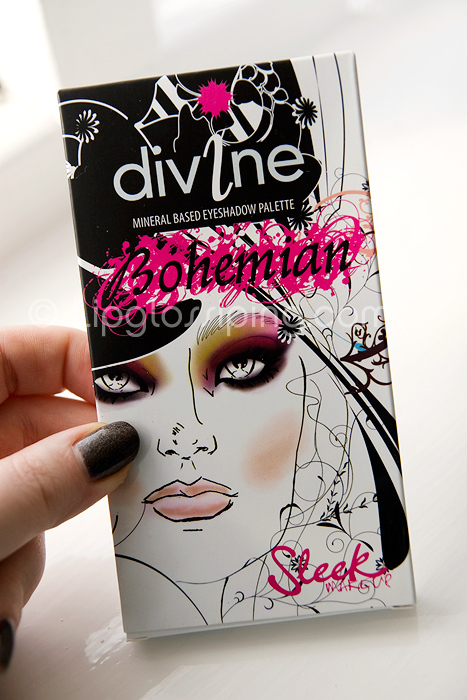 They wondered if I’d mind terribly if they used the names I’d already invented for the Bohemian Palette?! Hmmmm…. do I mind? Um… NO! 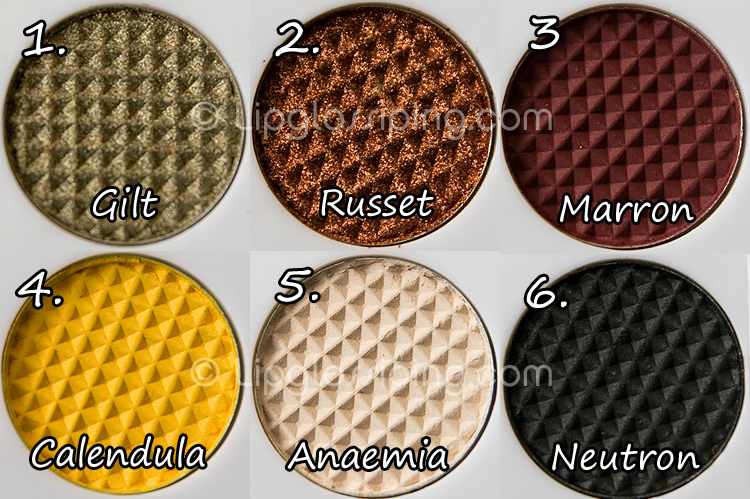 I’m not sure how it’s gonna work for future palettes, if the names will be printed on the back or if they’ll just be referenced on the website…. whatever, not really bothered – LOOK! 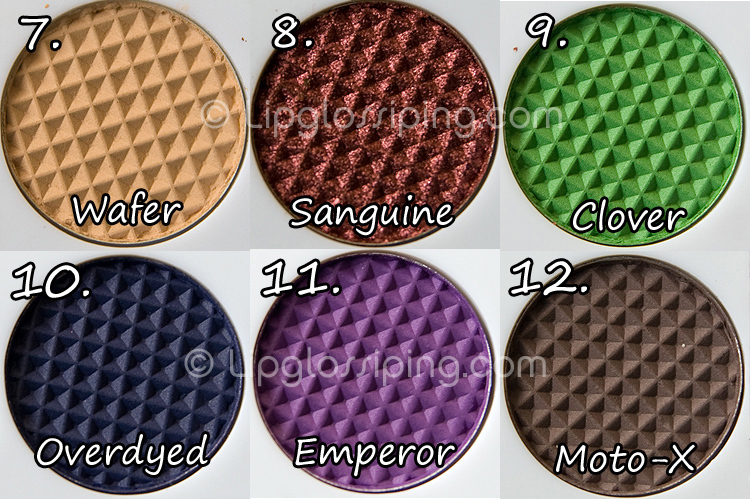 I named 12 eyeshadows! 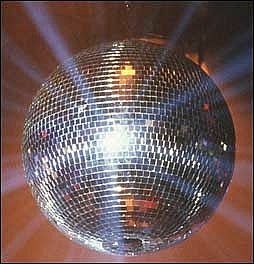 I also have SOME EVEN MORE exciting news to break a little later in the week, so stay tuned! 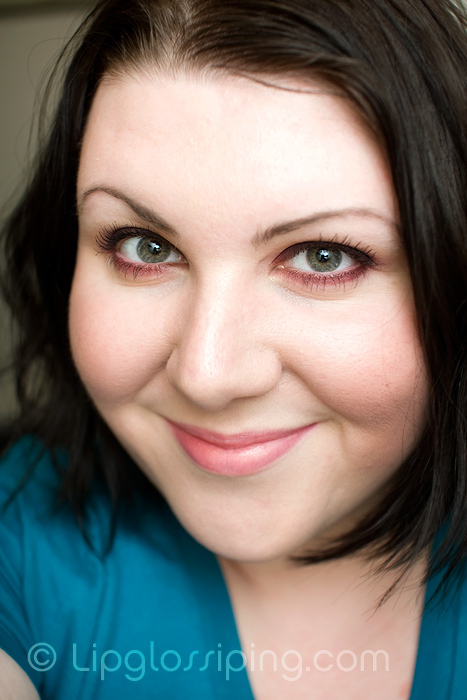 oh well, you can at least see Marron UNDER my eyes right? Dude, I honestly CAN blend! The camera has totally washed out wafer which I blended into the socket line to ease the transition between browbone and lid. 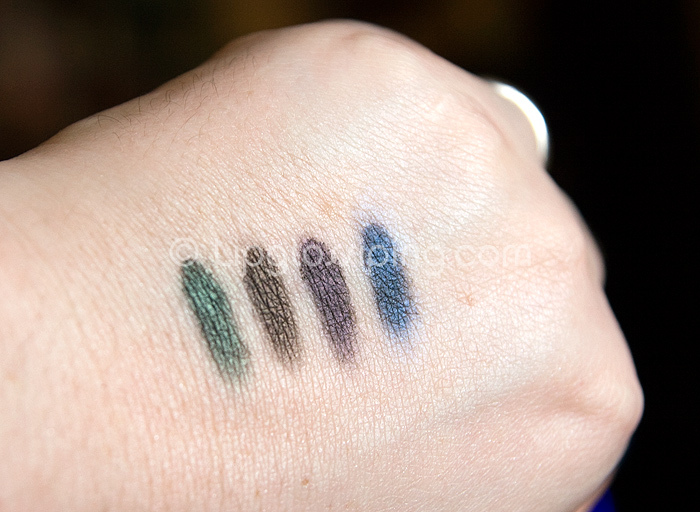 I was surprised by how much I’m enjoying playing with some mattes, they’re looking more sophisticated and I feel like they’re blending less ‘muddily’ than shimmer shades. 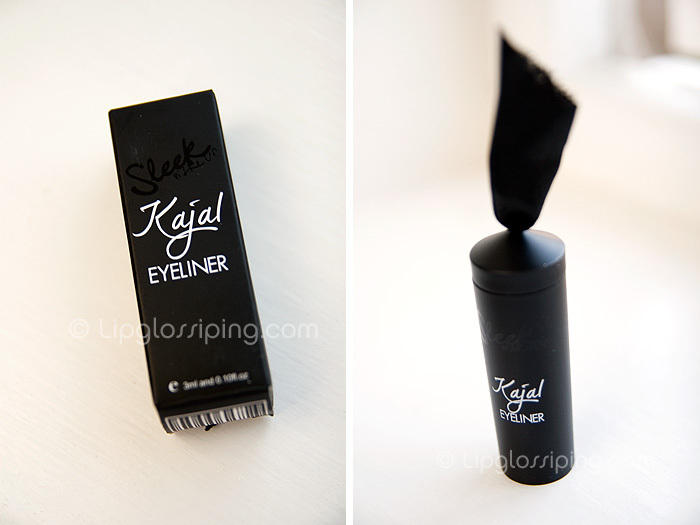 Am I imagining things oh matte addicts? 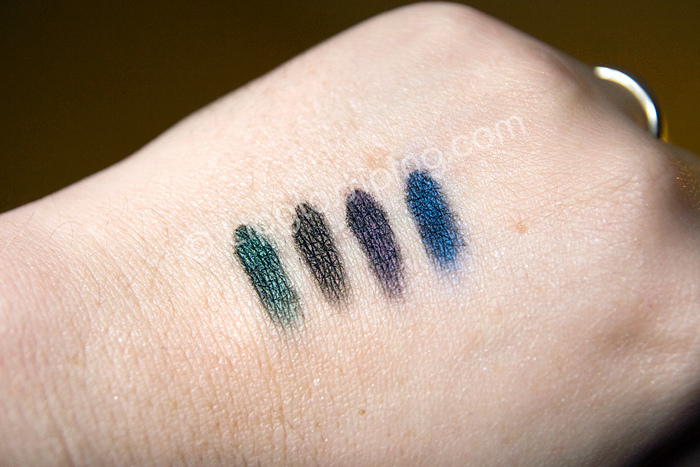 I’ve really not worn mattes much before, but I just seem to be creating more polished looks with these than normal (not that you could tell from my photos). 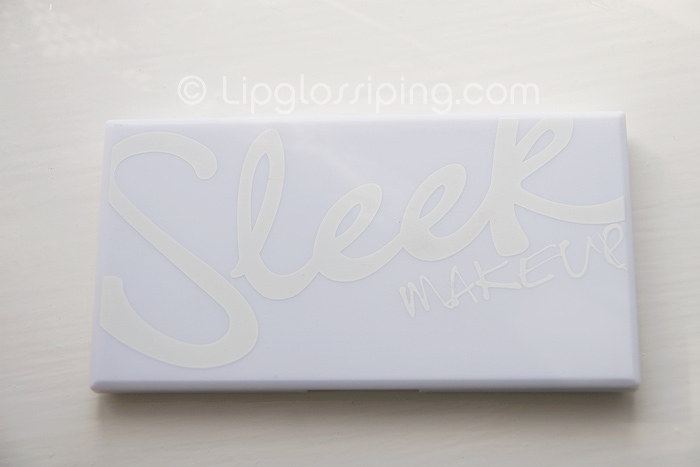 I was recently sent two products from Sleek Makeup‘s range, focusing on a couple of shades that are suited to this year’s Spring trend. 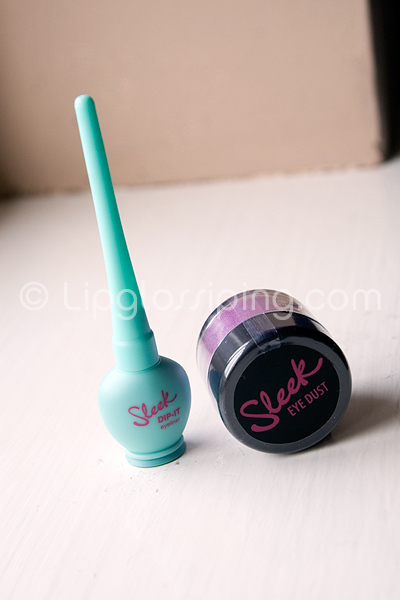 On the left we have the Dip It in Pastel Green and on the right, an Eye Dust in Livid Lilac. 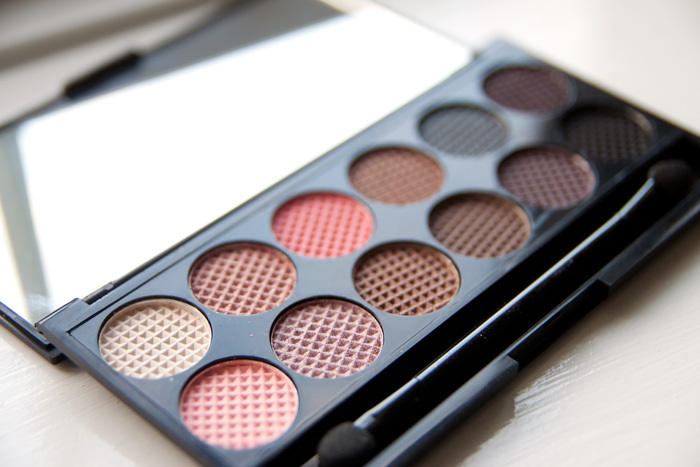 I’m a beauty addict with eclectic tastes and try not to discriminate based on price or accessibility of products. So, I approach this review with a fully open mind. Even when I held the Dip It pot in my fingers, twirling it…. marvelling at how incredibly cheap Sleek had managed to make it look. The eye dust packaging doesn’t fare much better. I mean, they’re both obviously plastic, but they’re SO lightweight I’m surprised that they’re not defying the rules of gravity. Having said that, I ultimately only really care about how it looks if I’m gonna be seen in public with it (shallow soul that I am), how about the actual contents? Well, there they are. In all their ‘spilled across my new desk cos the sifter fell out when I tapped the bottom of the pot’ glory. You can only imagine how much I was loving that purple Eye Dust at this point. When I grumbled about my little dust-spilling incident on Twitter, it turned out that I wasn’t the only one who had nearly ended up with a lapful of Livid Lilac. 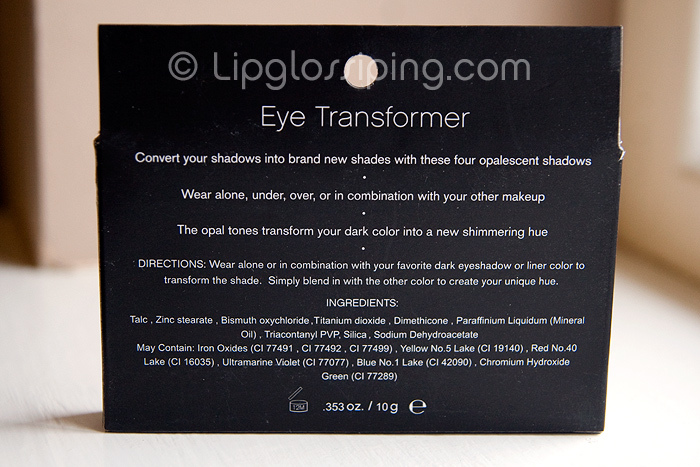 Something for Sleek Makeup to investigate perhaps? 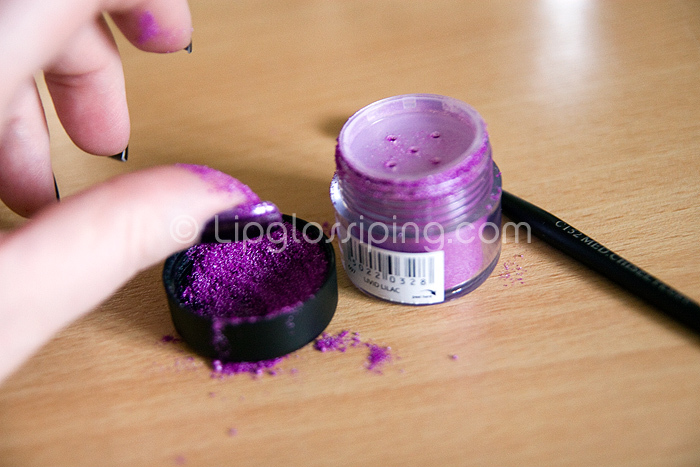 Anyway, the colour is pretty… it’s more vivid in the pot than it is swatched, a good thing seeing as it’s called ‘Livid Lilac’ afterall and looks thoroughly ‘Royal Purple’ in the container. 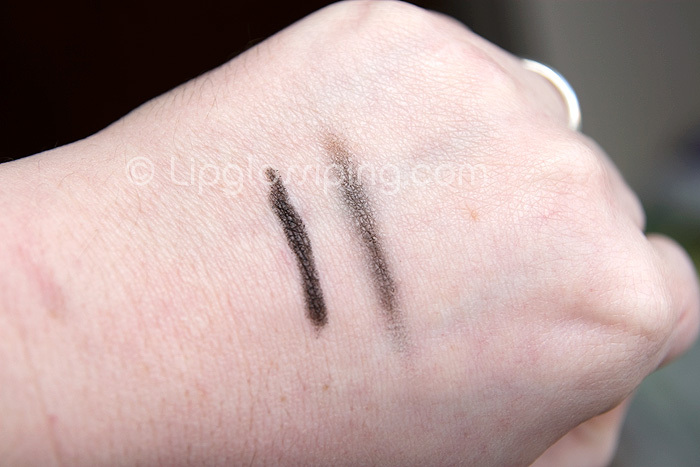 The top swatch shows the Dip It liner in Pastel Green. 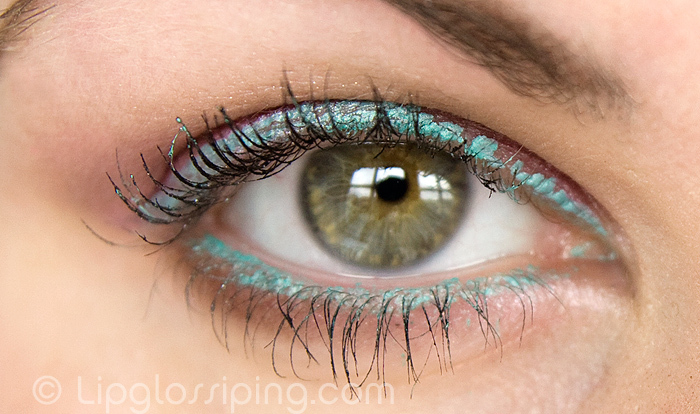 It’s an opaque mint, and really does look like a fabulous shade for Spring. 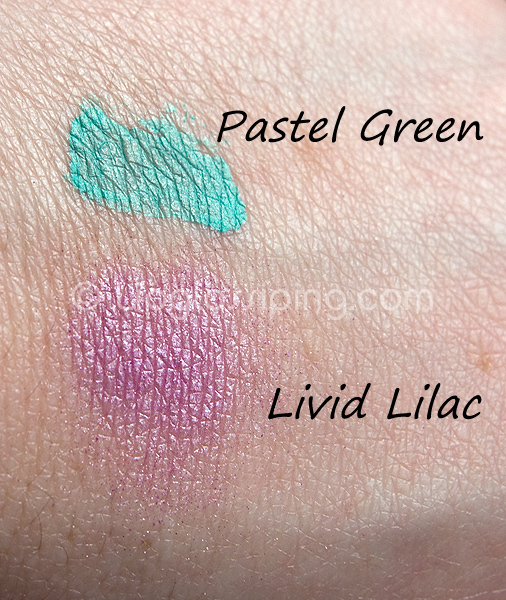 Livid Lilac is far softer once swatched (dry) and slightly metallic. I was really impressed with the choices for this season’s shades. Application of the Dip It was a bit tricky. 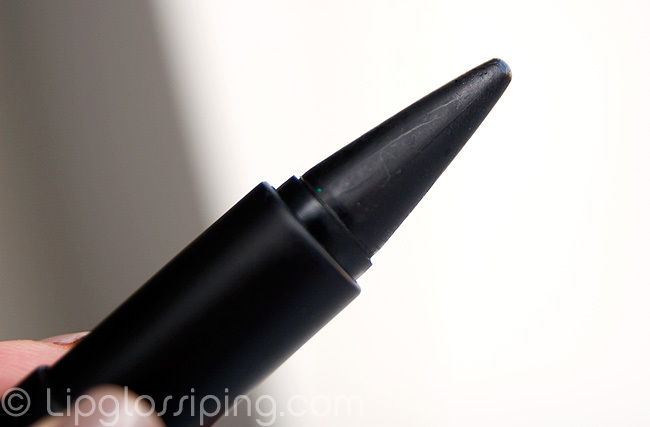 The wand and narrow tip allowed for a precise sweep across the eye lid, but as I was drawing the line, I found that the applicator dragged at the pigmentation leaving the line of colour less pigmented in the centre than at the edges. To be fair, nothing that a second coat didn’t remedy. 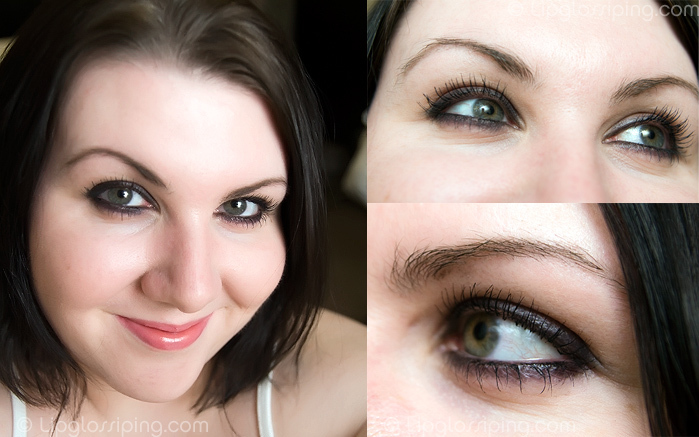 The liner dried almost instantly without transferring to the hooded part of my eyelids. 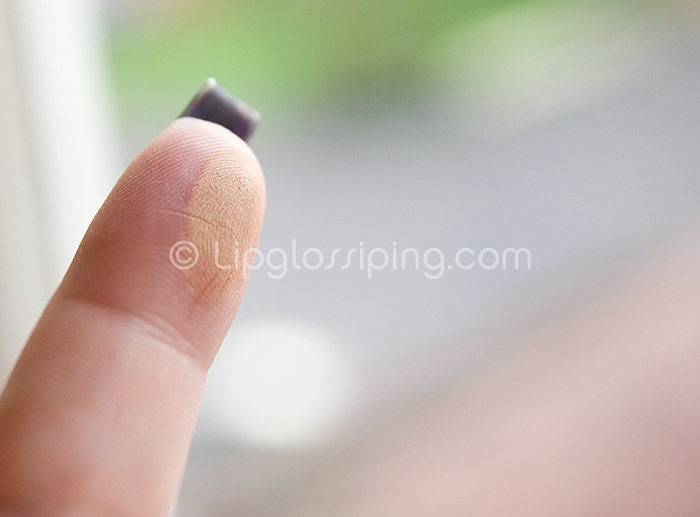 I had no issues applying the Eye Dust, it blended smoothly and the colour depth was nicely buildable. 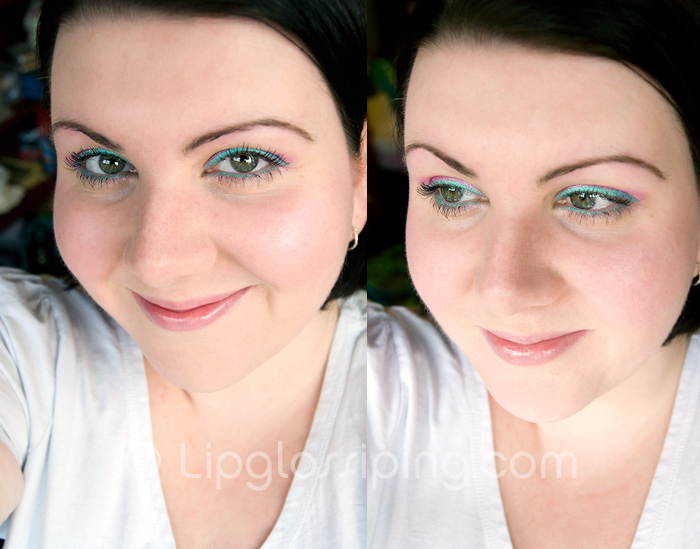 Here’s a FOTD, don’t laugh… the shades are a bit bright for me, but I enjoyed playing! Bits of Dip It kept getting caught in my eyelashes, so I ended up using an eyeshadow brush to work back and forward until I’d dislodged all the flakes. I wasn’t left with much. Fast forward to bed-time and my cleansing routine. I cleansed with my ever faithful cleansing oil and a blob of Cetaphil to finish, towelled my face dry and then shrieked at the mirror when I saw a matching pair of pink-dyed eyelids looking back at me. I would have photographed them for the comedy value, but it was kinda late and I’m kinda lazy so you’ll just have to use your imagination instead. On the plus side, it showed that my sense of symmetry has improved. Those dyed patches were perfect. 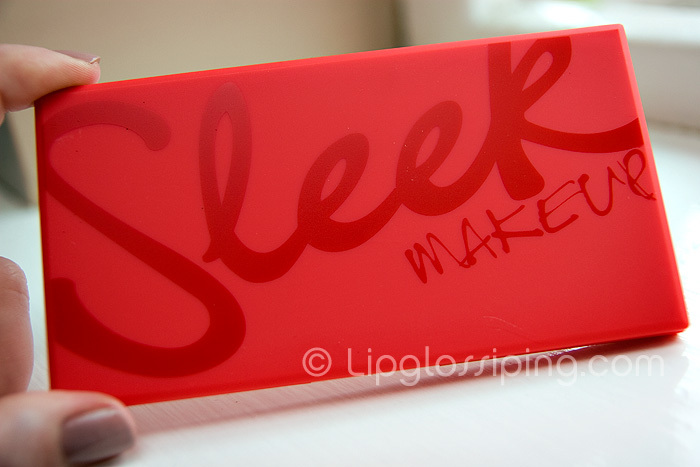 Overall, I was disappointed at the quality of the 2 products I was sent by Sleek Makeup which is a shame, because in the past I’ve been mostly impressed (how ’bout them 12 pan palettes eh?). 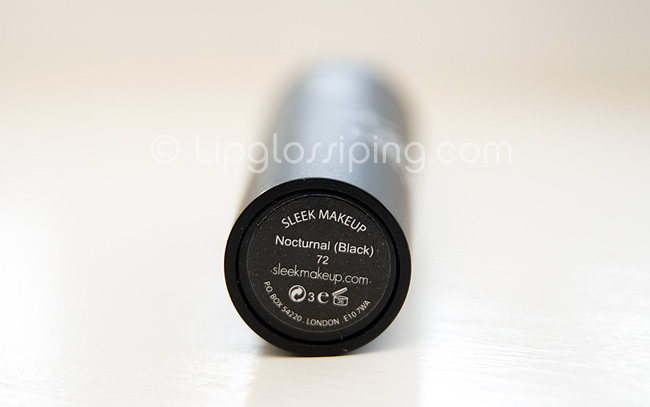 Sleek Makeup products are available from selected Superdrug stores, the Eye Dusts and Dip Its both retail for £2.99 each. 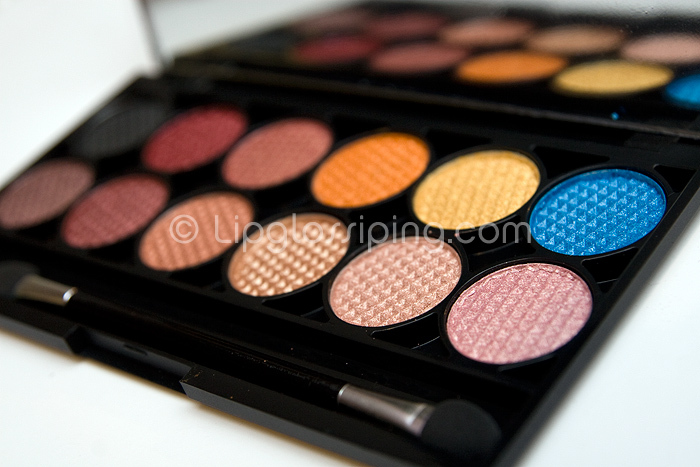 Introducing Sleek’s new Sunset Palette, I would link you to the website.. but I can’t find the palette on there… infact, the website seems to be thoroughly out of date. And just how long does it take to build an online shop? I had absolutely no intention of buying this. 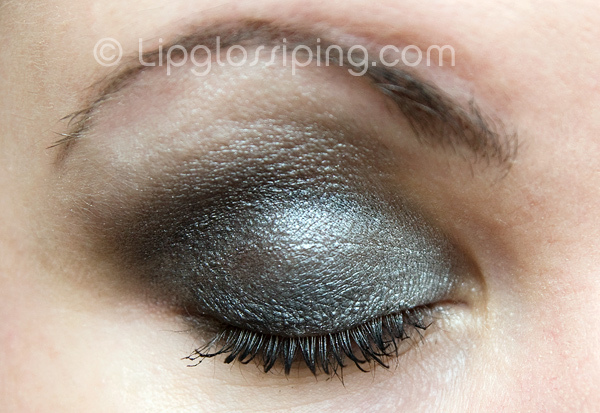 I’m a cool toned kinda girl, especially at the moment… I’m all about the greys, mauves and silvers. 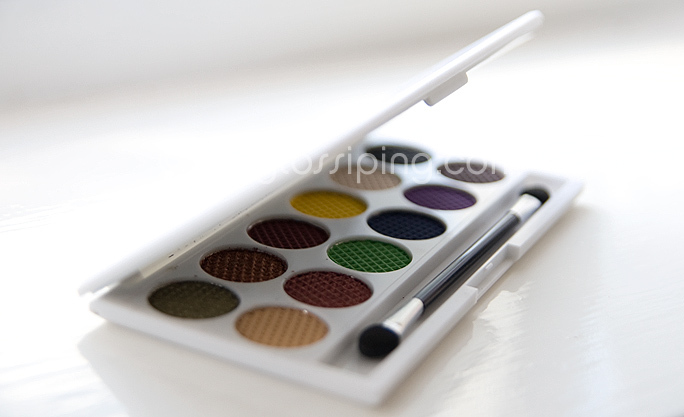 However, whilst buying the Graphite palette… I couldn’t resist a sneak peek inside this one too. Oh my! I will probably never wear the blue or the bright orange (I know, I know – they’re the bestest ones)… but they’re just not me! 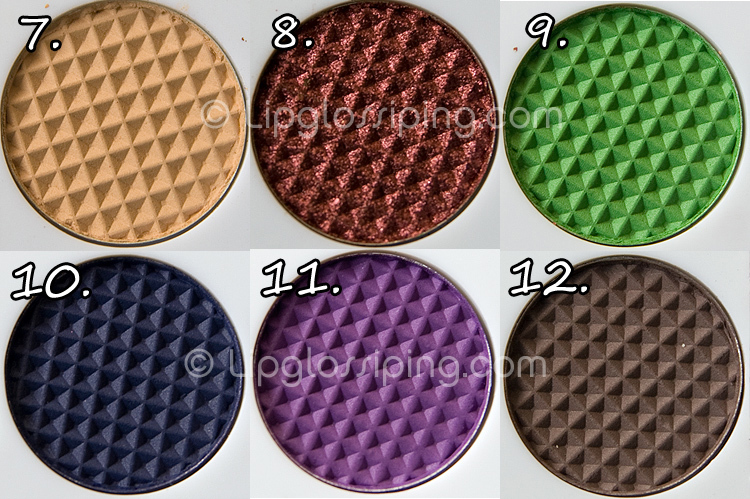 The others are deliciously wearable metallic shades that will be put into use immediately! 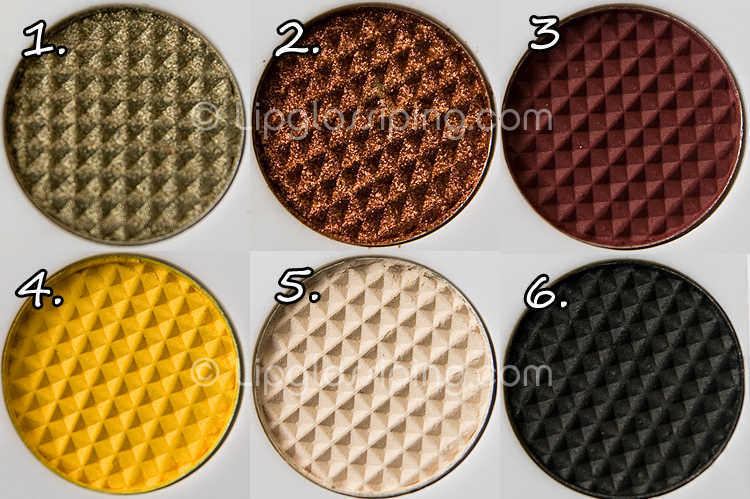 Absolute stand out shades for me are: Top 2nd from left (cranberry colour), bottom far left, bottom 2nd from left and bottom 3rd from right. 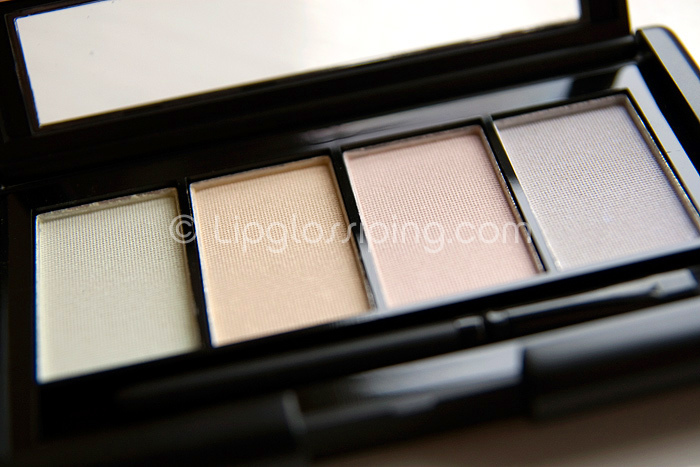 If you’re a neutrals girl the palette is easily worth the cost for those 4 shades alone. 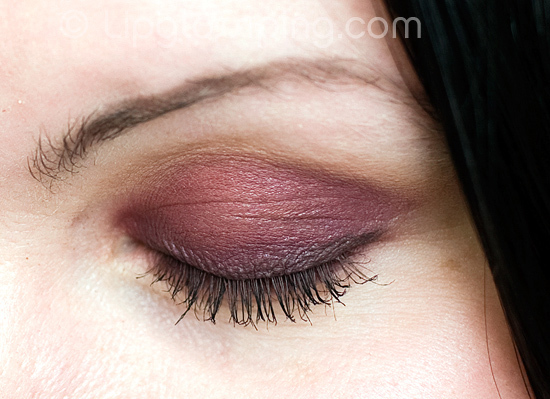 Although the cranberry shade looks bright, (and it is..) it blends out smoothly making a gorgeous subtle crease colour. 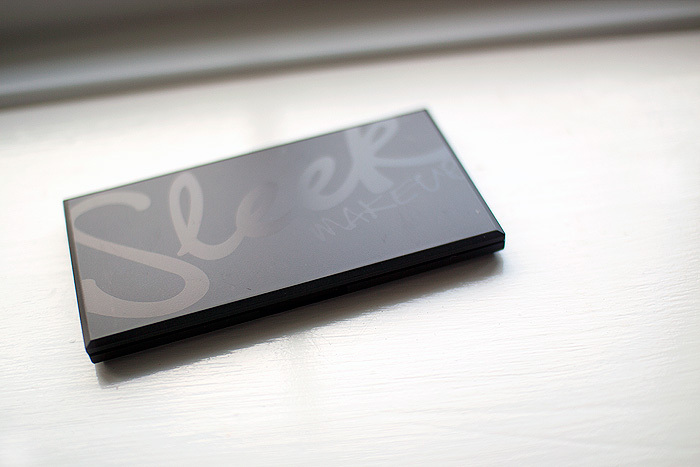 I’m very happy with this palette, and delighted that it’s made it into the permanent collection – good job Sleek!